A while back I had reviewed the Minaret/Laeirs split. Ever since then I was waiting for more Minaret material. Finally that day has come. 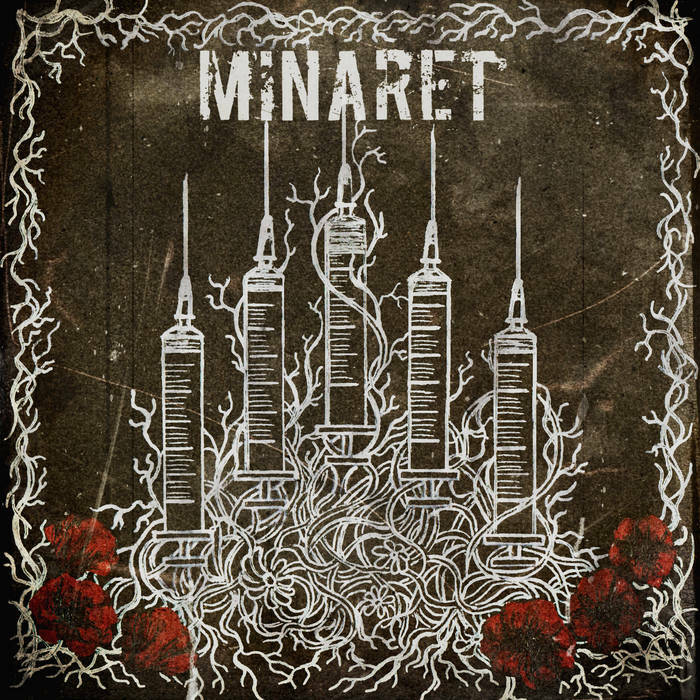 Minaret absolutely kill it with these five songs. At times this is blazing fast and other times it's slow and introspective. There's great use of dynamics. The band always keeps things sounding melodic while desperate. Production wise I'm very happy with the end result. The vocals seem to have a tinge of distortion on them, emphasizing a more brutal nature. I'm not sure if these drums have been tweaked or not, but I'm impressed with how well things stay together during the blast beats. There's no loss of snare, just pure consistency the whole way. The thing I love about Minaret is their ability to provide an epic nature to each song without stretching the run time over 2-3 minutes. While most bands have to provide a 7 minute opus to achieve this dynamic, Minaret pulls it off with ease in a more accessible package.